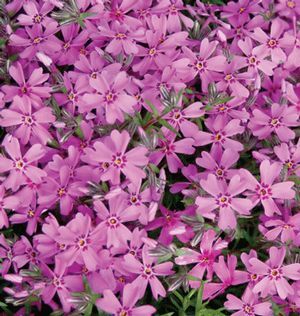 'Drummond's Pink' boasts larger flowers than other subulatas and forms a tight mass of darker green needle-like foliage. Deep pink flowers have a red center and will cover the 4-6" tall foliage in April and May. Flowers and foliage will make an attractive planting along a well-drained sunny walkway or creeping over a stone wall.